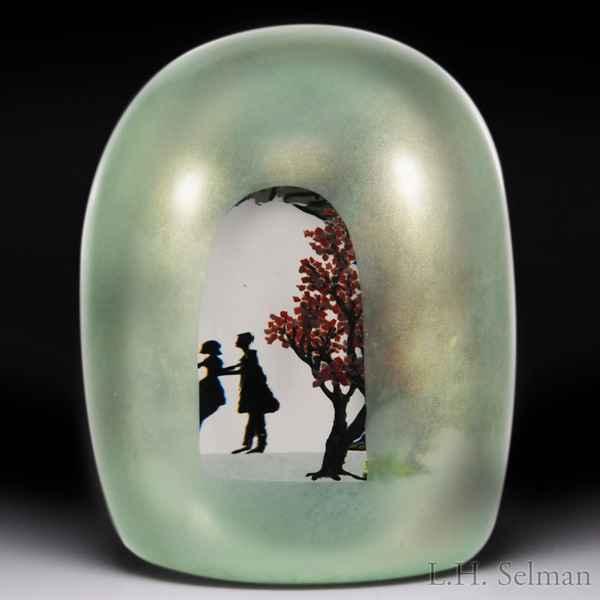 Alison Ruzsa 2017 "Passages" couple, stone arch and trees overlay high-domed paperweight. 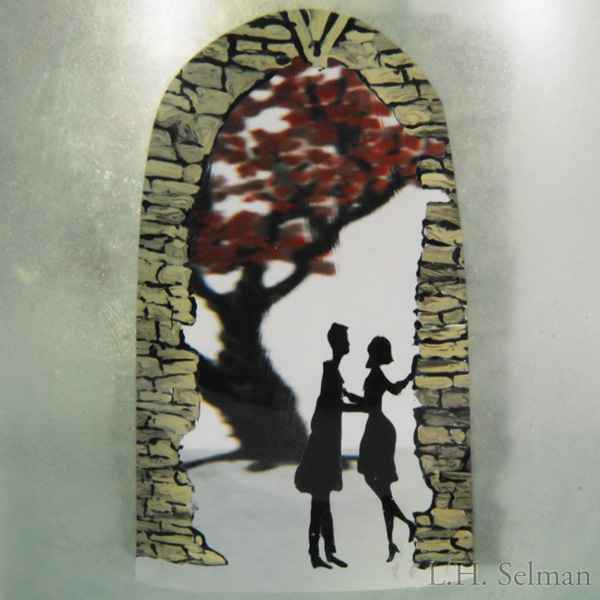 A couple is shaded by a gray stone arch at the opposing end of a cluster of trees, visible through two opposing arching windows in a green overlay. Signed/dated. Diameter 3 9/16", height 4 1/2".